Proof of Financial Support—All supporting financial documents must be in English or accompanied by a notarized English translation showing available funds. The financial documents cannot be older than three months at the time of submission to Jackson State University in order to be considered valid. Appropriate documents reflecting financial ability include, but are not limited to, the following: Click Criteria for more information. Bank Letter, stamped and signed by a bank official, letter should specify the date, monetary currency, and name of the account holder. 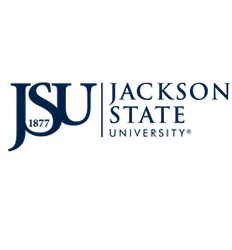 Jackson State University scholarship or graduate award letter. Individual sponsor, not a U.S. citizen, U.S. Permanent Resident, or non-immigrant legally present in the U.S., must sign the Notarized Affidavit of Support Form and attach supporting financial documents. Individual sponsor, a U.S. citizen, U.S. Permanent Resident, or non-immigrant legally present in the U.S., must submit a completed I-134 Affidavit of Support Form with supporting financial documents. Please Note: Do not submit a copy of your last income tax return. Each semester following enrollment at JSU the F1 student is required to check-in with the office to register their SEVIS record for the current semester of enrollment.